This session will take place from 4pm to 5pm on Saturday, July 18th. Jochen Spangenberg from Deutsche Welle Innovation Projects in Germany will open the session with the topic ‘Verification of User-generated Content in the Context of News Reporting’. Subsequently we are going to hear about ‘New Media Enhancement in Opening New Avenues in Kenya’ from Christine Masivo, Daystar University, Kenya. She is currently a student at Daystar University pursuing a MA degree in Communication after earning her BA at Kampala International University. She joined the Missionary Sisters of the Precious Blood and has a passion in communication. She is interested in the opportunity to delve deeper into the impact the new media has had on the church and society, and how it can be used to propel the church as a corporate entity to greater heights. Concluding Tomasz Płudowski from Cardinal Stefan Wyszyński University in Poland is going to talk about ‘A Textual, Cross-Disciplinary Analysis of Television and Online Persuasive Electoral Discourse in the US’. We are already excited about this session! 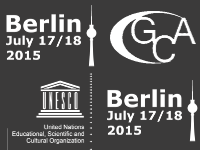 If you are as well interested in these topics, we would be glad to see you at the conference in Berlin! This entry was posted in Allgemein and tagged enhancement, media, research, television, user-generated content.